You can get a complete powder coating package. 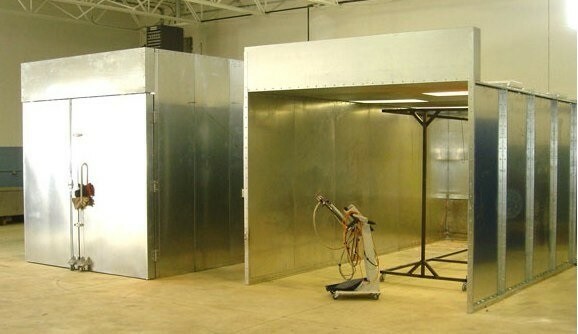 Each one of our powder coating packages includes a powder coating oven, a powder spray booth, a premium powder spray gun and comes with additional options based on your budget and requirements. Best of all, these all inclusive powder coating packages come with no hidden fees, lots of extras and fast lead times, so you will get all the equipment you need at the best possible price. Check out our package section today.